All licensed premises in Scotland must operate in terms of their Premises Licence and in accordance with the Licensing (Scotland) Act 2005 but, in our experience, it isn’t uncommon for issues to crop up. 1) Licences – the original or a certified copy of the up to date Premises Licence must be kept on the premises at all times, and the Premises Licence Summary must be displayed clearly so that the first page can be read by anyone frequenting the premises. It is a criminal offence to fail to prominently display the Summary or to fail to produce the Licence for inspection to a Licensing Standards Officer (LSO) or Police Constable. Keeping an organised and up to date licensing folder on the premises at all times will stand you in good stead for any Police or LSO visits. 2) Notices – it is a legal requirement that certain notices are displayed on any licensed premises in Scotland. The Schedule 3 Notice should be placed somewhere near the entrance to the so that customers know the terms on which children can access the premises. The Section 110 Notice, which states that alcohol cannot be sold to under 18s, must be displayed at every point of sale. There is now an obligation to implement a Challenge 25 policy and, whilst there is legally no need to display a notice to this effect, it is certainly best practice. 3) Staff – all Premises Licences must name a Designated Premises Manager (DPM) who has overall responsibility for the sale of alcohol from their premises. It is important that full original Personal Licences for the DPM, and any other Personal Licence holders employed at a premises, are kept there while they are working. Operators should also ensure that all staff selling or serving alcohol have undergone training of at least 2 hours’ duration covering 16 specific points, and that staff training records are kept on the premises. LSOs are paying close attention to these and having the correct records is key in case any problems arise. One of the most common issues which we come across is a lack of understanding of the provisions for changes of DPM. There are strict timescales for dealing with this and if these are not complied with, licensees could find themselves in a position where they are not able to sell alcohol for a period – clearly something to be avoided. 4) Conditions – it may seem obvious, but operators must remember to comply with the conditions attached to their Premises Licence at all times. These will include the Mandatory Conditions, as and there may be other conditions which the Board have attached to a particular Licence. These can vary hugely between premises so close attention should be paid to this part of a licence. The licensing regime is complex and can be a bit of a minefield. These are just a few examples of issues which could land you in hot water - there are numerous other potential pitfalls which licensees should be careful to avoid too. For most operators their licence is their livelihood so the importance of ticking all the right boxes can’t be overstated, but with the right knowledge and advice most potential issues can be avoided. 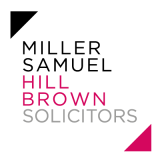 The team at Hill Brown Licensing can answer any of your compliance queries and carry out full licence ‘health checks’ to assist. For a free, detailed licensing compliance checklist, or information on any licensing matter, please contact our team of experienced solicitors.